1. 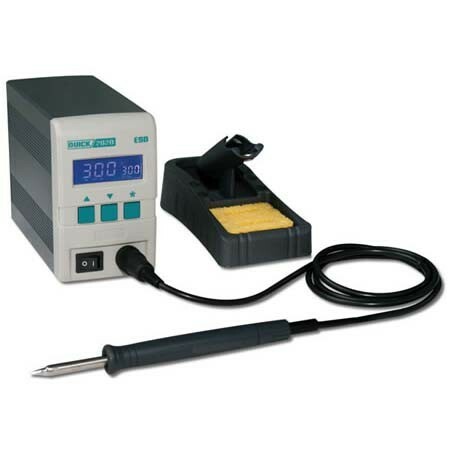 Large power, sensor closer to tip, micro computer digital, PID temperature control, fast heating and rapid thermal recovery; suitable for lead free soldering. 2. Switching power supply, can prevent the unit from being damaged, such as shot circuit protection, overheating protection, overpowering. Power output will not vary with the change of voltage fluctuation. 3. Password locks temperature. Auto sleeping and auto shut-off available, auto sleeping time and auto shut-off time can be set. 4. Range of temperature limits can be set according to the needs; if temperature exceeds the limit set by the operator, the unit sounds the alarm. 5. Calibrate temperature digitally and easily. 6. ESD Safe by design. 7. Various types of tips available.